Prominent & Leading Manufacturer from Ahmedabad, we offer multi grip countersunk head blind rivet, multi grip dome head blind rivet, multi grip large head blind rivet, countersunk head blind rivet and head blind rivet. 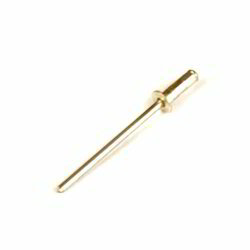 We are one of the renowned providers of Multi Grip Countersunk Head Blind Rivet in the market. It is used in the applications requiring a flush surface. Multi Grip Countersunk Head Blind Rivet has an integral mandrel which permits the formation of upset on the blind end of the rivet. We offer high-quality Multi Grip Dome Head Blind Rivet in the market. It has Dome head neat appearance and low profile; this is the most common and most versatile head style. The dome head has twice the diameter of the rivet body, providing enough bearing surface for retaining. We provide this Multi Grip Dome Head Blind Rivet in different materials which include soft and brittle types. 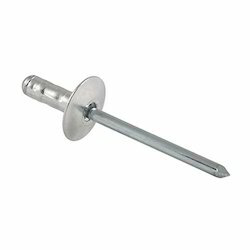 We are one of the foremost providers of Multi Grip Large Head Blind Rivet in the market. Multi Grip Large Head have twice the under head bearing surfaces of comparable head Rivets. These are assembled with a rigid backing material. Countersunk Head Blind Rivet is also called as Flush Rivet where streamlining is important. Countersunk Head Blind Rivet is available with head which has an inclined angle of 78 and 100 degrees. 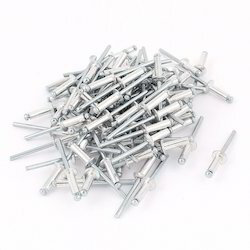 The 100 degree angle rivet is the most commonly used type. We make available these Rivets at economical prices. 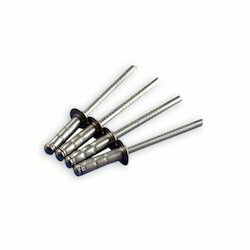 We are one of the renowned Manufacturers, Exporters and Suppliers of Head Blind Rivet in the market. It is used in the applications requiring a flush surface. 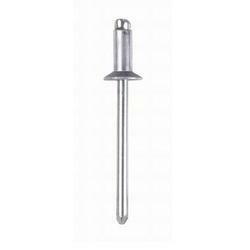 Multi Grip Countersunk Head Blind Rivet has an integral mandrel which permits the formation of upset on the blind end of the rivet.